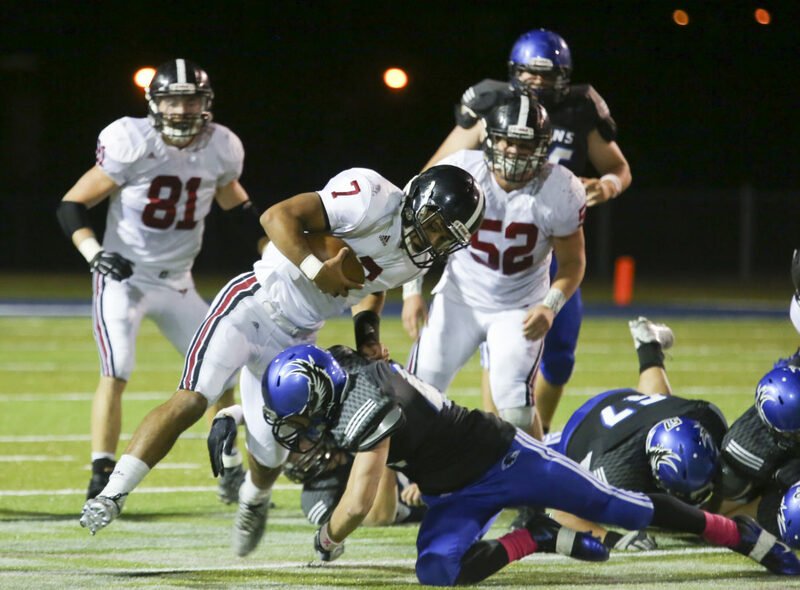 Lawrence High quarterback Alan Clothier is hit on a run by Olathe Northwest linebacker David Burton during the second quarter on Thursday, Oct. 15, 2015 in Olathe. 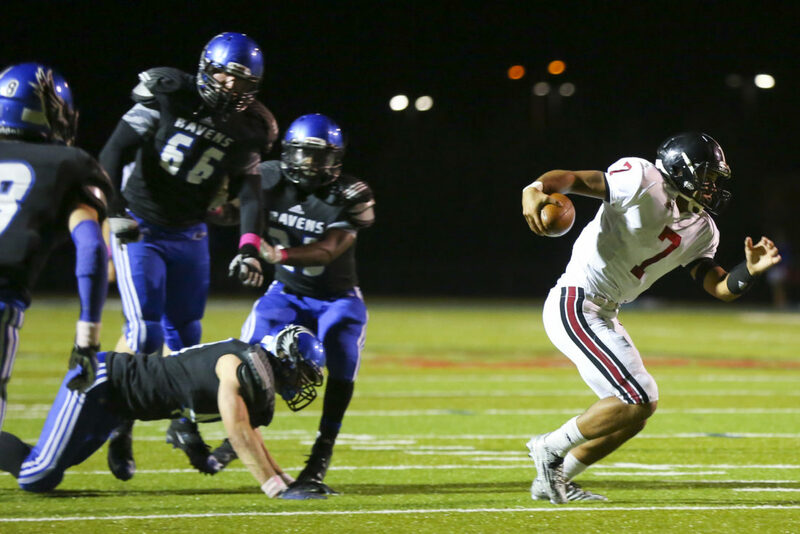 Lawrence High quarterback Alan Clothier breaks through a line of Olathe Northwest defenders on a touchdown run during the second quarter on Thursday, Oct. 15, 2015 in Olathe. 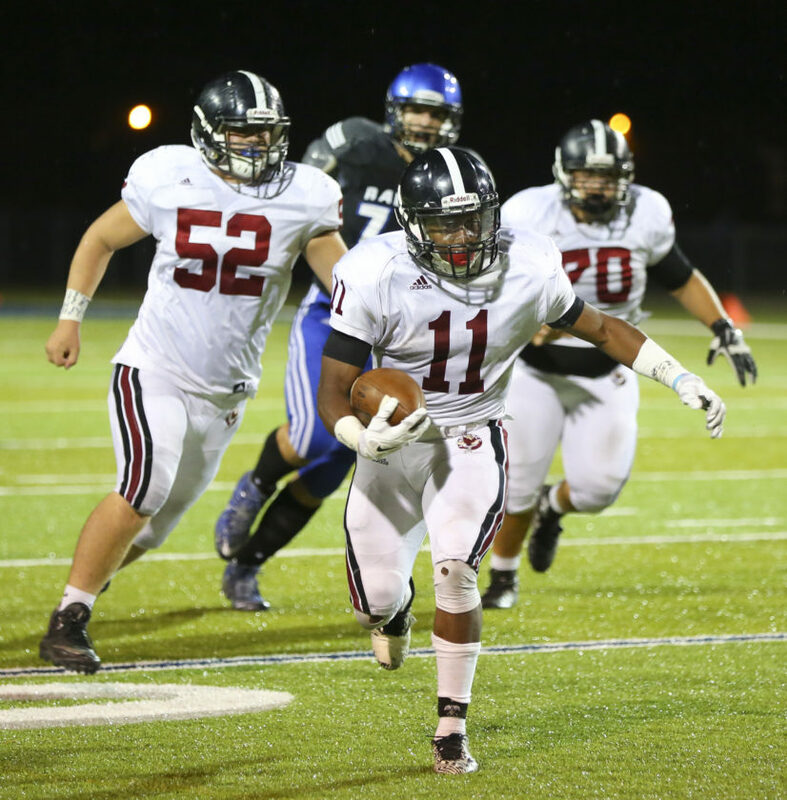 Lawrence High running back J.D. 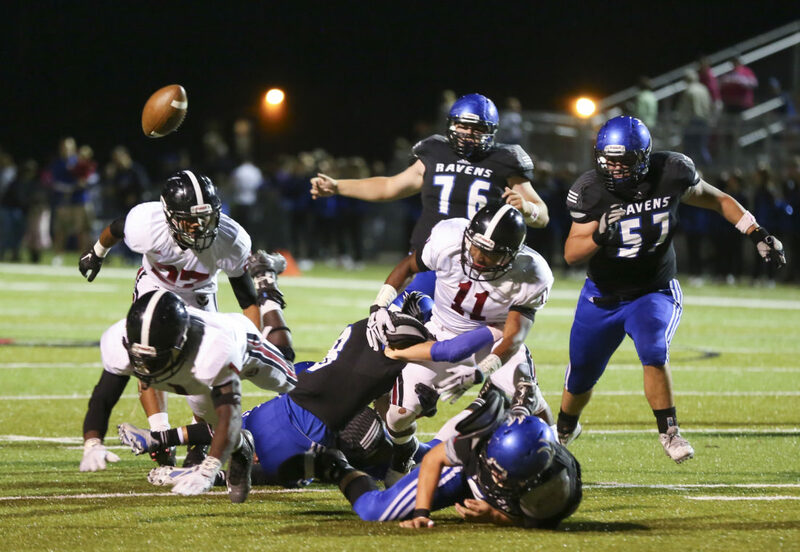 Woods loses the ball on a carry against Olathe Northwest during the second quarter on Thursday, Oct. 15, 2015 in Olathe. 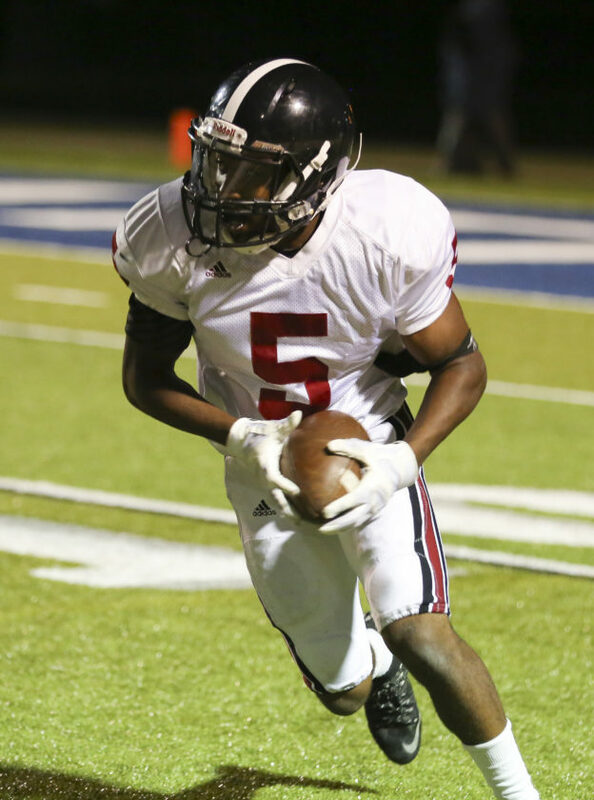 Lawrence High running back J.D. 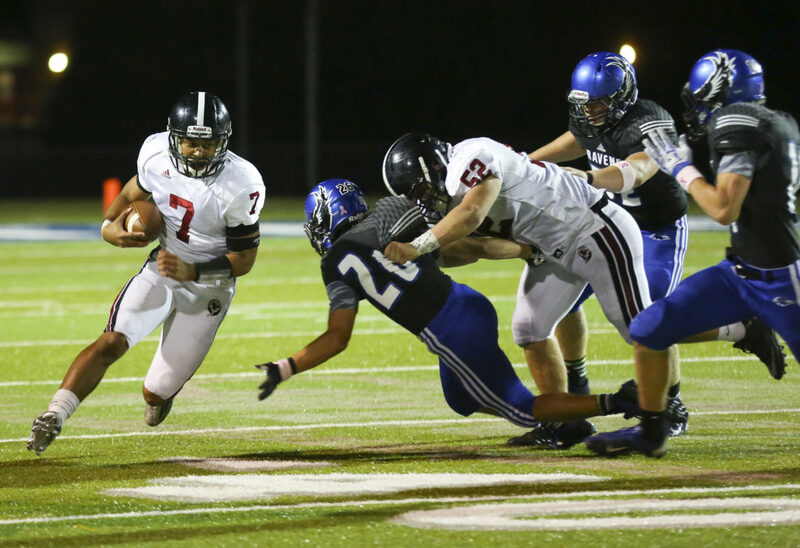 Woods cuts around Olathe Northwest defensive back Kyle Rinck during the third quarter on Thursday, Oct. 15, 2015 in Olathe. 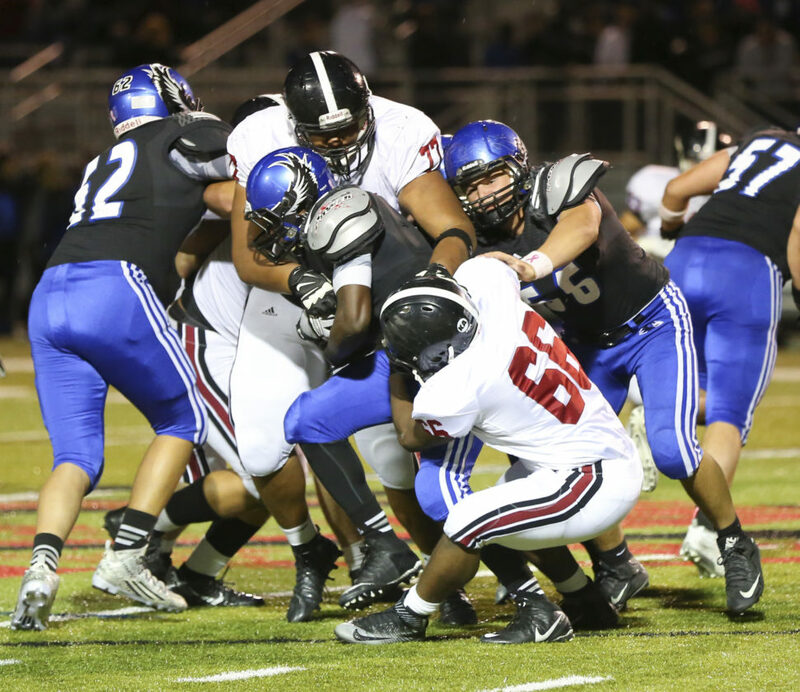 Lawrence High defensive lineman Nate Koehn (77) helps bring down Olathe Northwest running back Brendan Watkins (7) with teammate James Murry (66) during the third quarter on Thursday, Oct. 15, 2015 in Olathe. 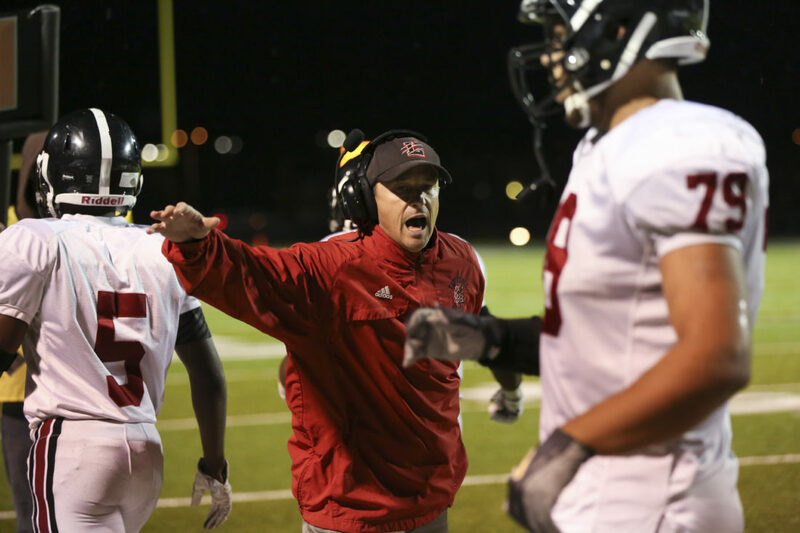 Lawrence High assistant coach Adam Green slaps hands with the players after a touchdown by the Lions against Olathe Northwest during the third quarter on Thursday, Oct. 15, 2015 in Olathe. 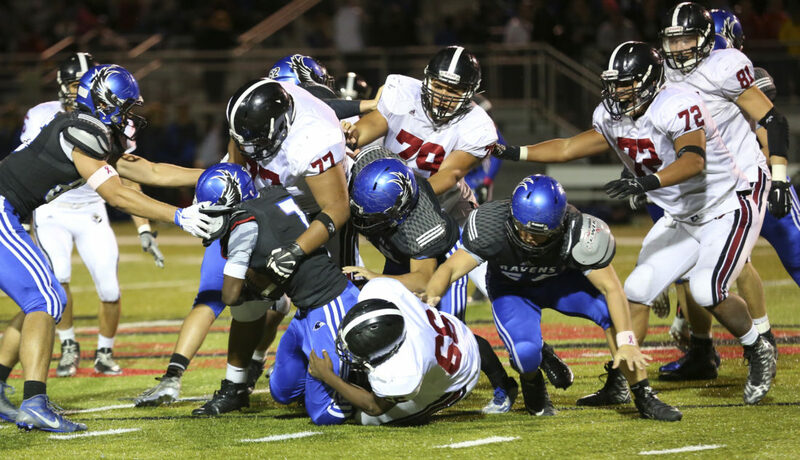 Lawrence High quarterback Alan Clothier catches a block as lineman Jake Unruh (52) pushes aside Olathe Northwest defensive back Charles Elvin (20) during the third quarter on Thursday, Oct. 15, 2015 in Olathe. 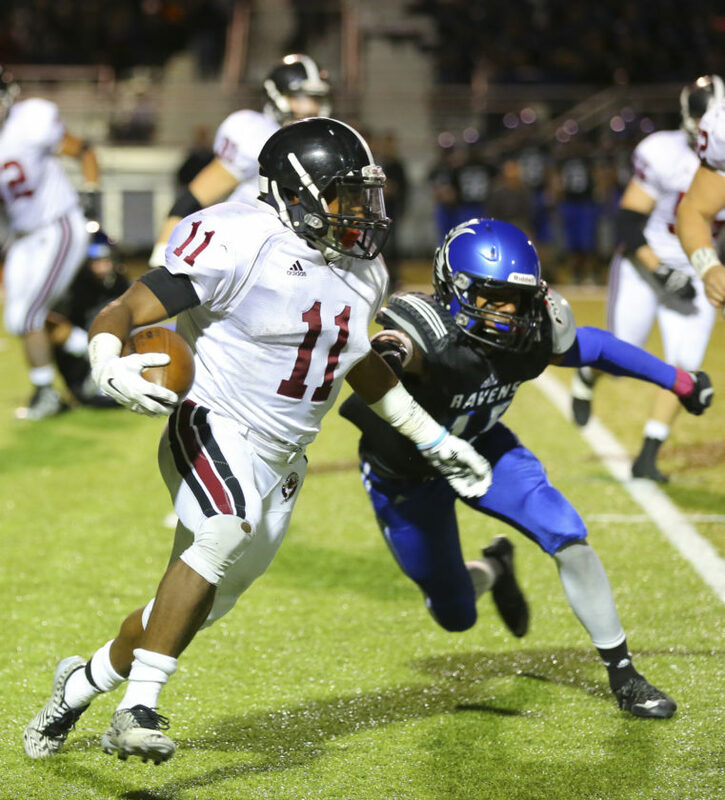 Lawrence High running back J.D. 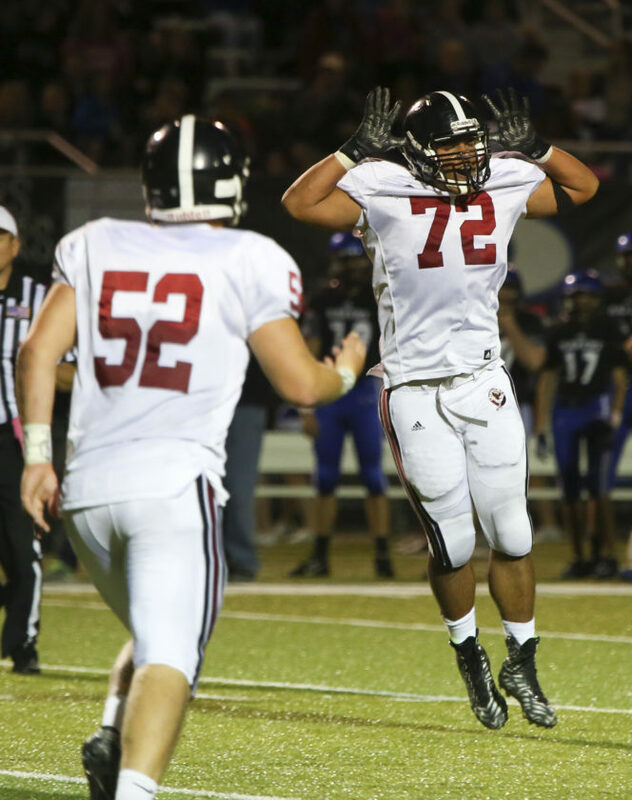 Woods heads up the field against Olathe Northwest during the third quarter on Thursday, Oct. 15, 2015 in Olathe. Lawrence High defensive back Ivan Hollins turns up field after picking off a pass from Olathe Northwest quarterback Easton Crupper during the fourth quarter on Thursday, Oct. 15, 2015 in Olathe.